About Yoga @ Sunshine :Yoga @ Sunshine offers weekly vinyasa flow yoga classes. 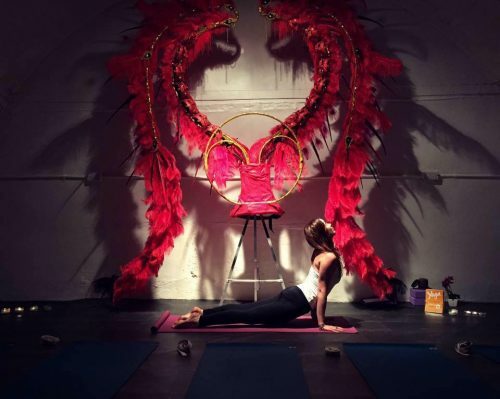 Built on the foundation that yoga in the city should be accessible and sustainable for all, classes run at S.I.A’ s community C.A.F.E (Carnival Arts for Everyone); a charity supported by Arts Council England. This wonderful creative space enables us to keep yoga classes affordable; nurturing the gathering and growth of a community spirit in Loughborough Junction, whilst providing a welcoming environment to move our bodies, to find a stillness within, to breathe, release and reconnect. Classes : Yoga at Sunshine classes are all open level vinyasa flow and suitable for beginners. Classes incorporate traditional teachings of yoga; pranayama (breathing techniques), asana (physical postures), and meditation. On a physical level, strength, suppleness and balance of body are created as physical tensions are eased. On a subtler level, space and stillness is created within, easing emotional stress and calming overactive minds. Drop ins welcome, although pre booking is advised due to limited spaces.Suitable for beginners. FIRST CLASS FREE, normally £8 per class.